Season each side of fish with spices. 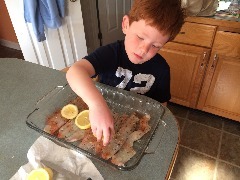 Place a lemon slice over each flounder filet then place around one tablespoon butter on each lemon slice. 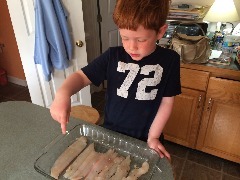 Cover with foil and bake at 350 for 20-30 minutes or until flounder is white and flakey. 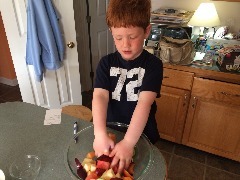 Serve sliced fruit on a bed of red leaf lettuce. Slice french bread into half inch slices (I got it for $1.79 at Whole Foods, a great deal!). 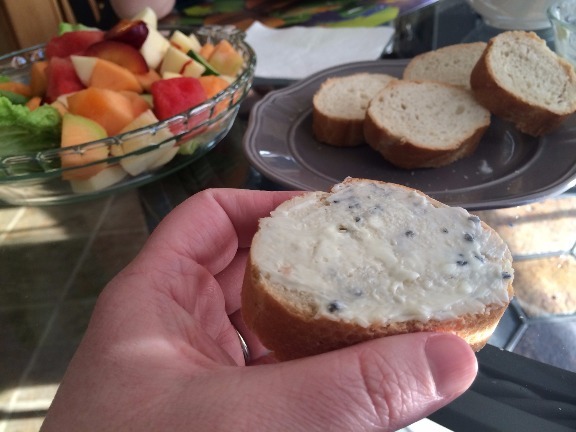 Mix 2-3 tablespoons of butter with Hawaiian black sea salt and spread on each slice of bread. 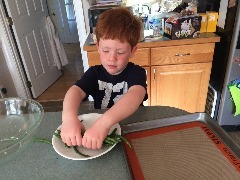 What started out as an experiment to teach Tucker about food, and fill up and afternoon with activities, turned into an unbelievable and eye-opening experience. I will admit, I was a bit nervious heading into this thinking we mind end up with who knows what type of food on our table. Worst case scenario, we would end up with his go-to favorite, mac and cheese, but Tucker had other plans. He has always been disgusted by lettuce, but when he was doing the shopping, it was the first item that he picked out. 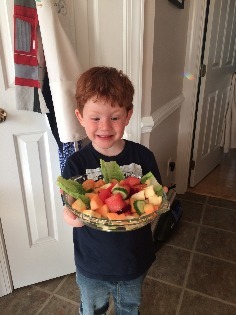 He was so excited to try it, and since he doesn't like "traditional" salads, he wanted to add fruit and cucumber to his. 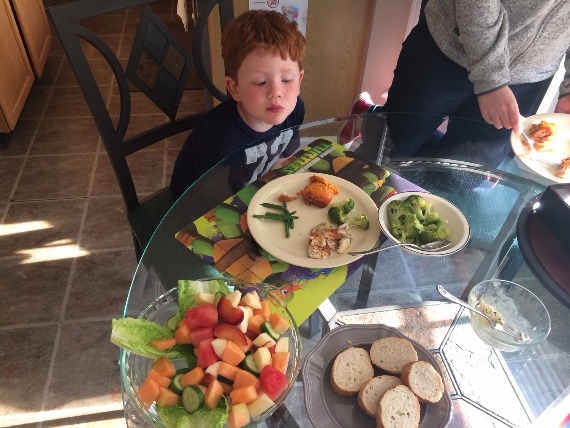 He didn't eat it all, but he did eat about half of his portion and for a kid who has moved away from lettuce when put in front of him, thats a win! After the meal was over, I asked him if he enjoyed being in charge. His answer...YES! In fact, he has already asked to do it again. 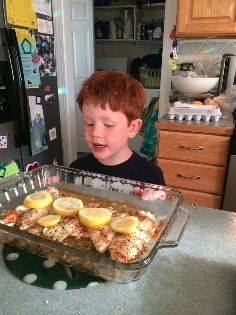 So, once a month, Tucker will be in charge of picking out all the ingredients we will use to cook our dinner. If you are looking for a way to shake up your normal dinner routine, and keep your family entertained, where there's a meal, there's a way!